This is a Classic Irish Wedding Ring! From the An Rí Collection - it symbolises the Journey of Life and celebrates our loved ones Past, Present and Future. Made in Yellow 14 Karat and 18 Karat Gold it features the symbols of an Irish Warrior Shield - the Celtic Warriors had a code of Chivalry, Respect and Loyalty that went all the way back to the days of The Fianna. Sizes available from size 4 to 12.5. Hand Made in Ireland by Craftspeople, inspected and Hallmarked by the Irish Assay Office in Dublin Castle - this is your guarantee of provenance and authenticity. Free Shipping worldwide and any Import Duty is pre-paid by us - no extra costs for you! 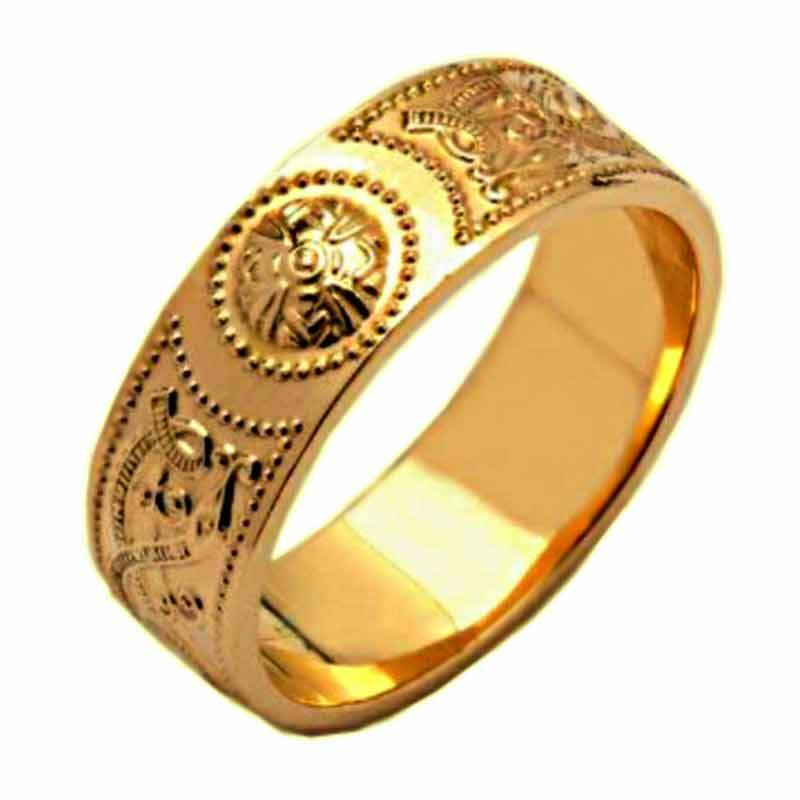 Another fabulous Irish Made Wedding Ring made in 18 Karat Gold. From the "Livia" range of jewelle..
A stunning Irish Engagement Ring! From the Livia Diamond Collection - the flowing lines are a s.. This is a beautiful Claddagh Band Ring made from 14 Karat or 18 Karat Yellow Gold. It has the..